Other than the compromises made on the build material, the Honor Watch Magic draws on the key features of the Watch GT. 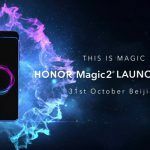 It’s been two years since the release of Honor’s smartwatch, the S1, and the company has now launched the new Honor Watch Magic, which has more in common with the recently released Huawei Watch GT than the S1. It is a good option for those who want all the key features of the Watch GT at an affordable price. 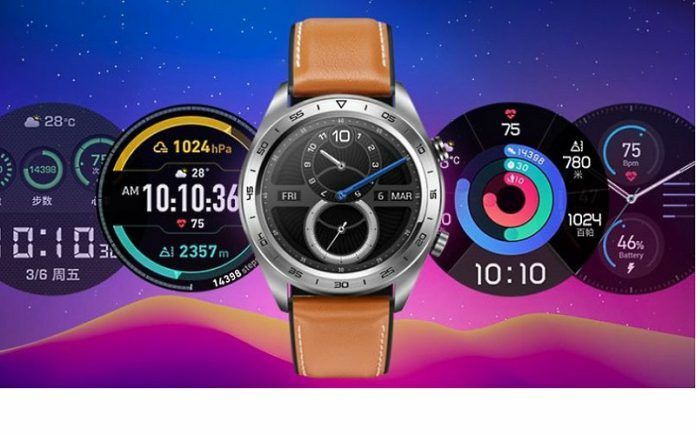 Honor has skimped on Google’s Wear OS and the watch runs company’s own LiteOS instead, which is a stripped down version of the LightOS software that was seen on the Huawei Watch GT. Since it’s a proprietary OS, we can expect it to be more integrated with the hardware and provide a more snappy experience. 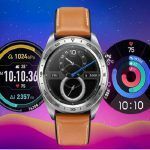 The Watch Magic might not be the best smartwatch out there, but the company is banking on its small size, simplicity, and affordability to compete with other fitness trackers on the market. It packs in a small 178mAh battery, which Honor says would be enough to sustain a week of use. The watch rocks an ARM M4 processor and it offers 16MB of RAM and 128MB of onboard memory. Compared to the 1.39 inches AMOLED display of the Huawei Watch GT, the Honor Watch Magic has a circular 1.2-inch screen with the same pixel density of 326ppi. At 9.8mm, it is a great option for people who have an aversion for chunkier watches. 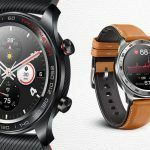 Honor has cut corners on the construction material, as the watch features a stainless steel and plastic body, and the ceramic bezel seen on the Huawei Watch GT is missing. You can choose from different QuickFit straps to customize the watch. With a 5ATM rating, the watch is swim-proof. The standard smartwatch features such as GPS (including GLONASS, Galileo), Bluetooth 4.2, and heart rate monitor are also there. There is also built-in NFC for mobile payments. Given that it is underpinned by the same processor and offers most of the features of the fancier Rs. 13,702 Huawei Watch GT, the Honor Watch Magic is quite a bargain at Rs. 9,489. The watch is now available in China in the colors Moonlight Silver and Lava Black. It is expected to be available in more locations, including India next year. Apparently, a fashion version will also be unveiled later. Would you rather splurge on Huawei Watch GT or settle for the Honor Watch Magic? Let us know in the comments below!